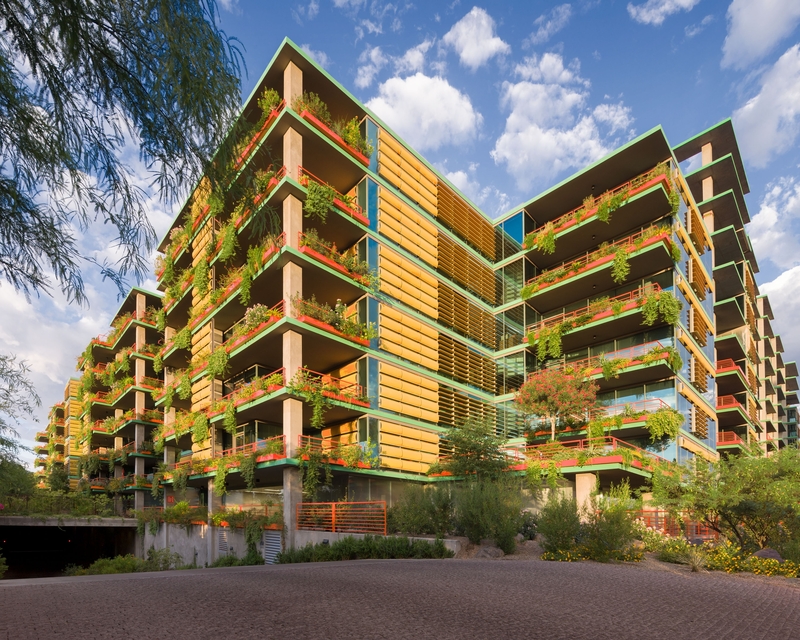 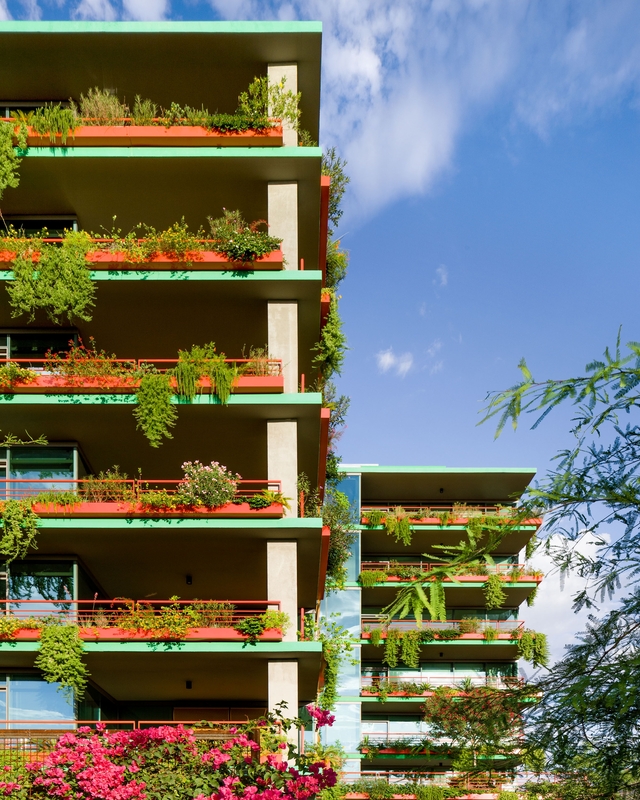 Firm: David Hovey & Associates Architect, Inc.
Part of this excitement came from the collaborative nature of the project: color palettes were chosen from native, low-water desert plants in bloom resulting from a research project with Arizona State University. 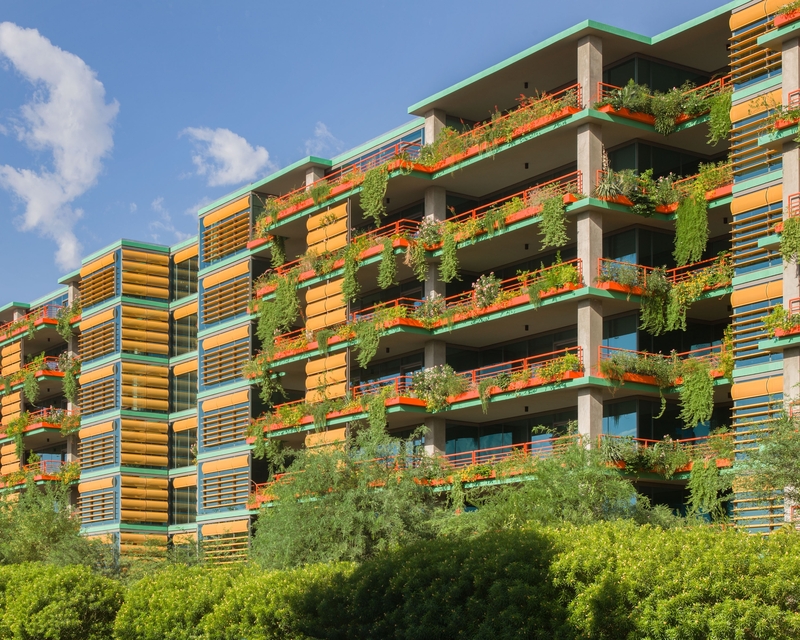 Jurors called the color scheme “rigorous.” The firm took several years to painstakingly research and experiment alongside ASU to determine the palettes. 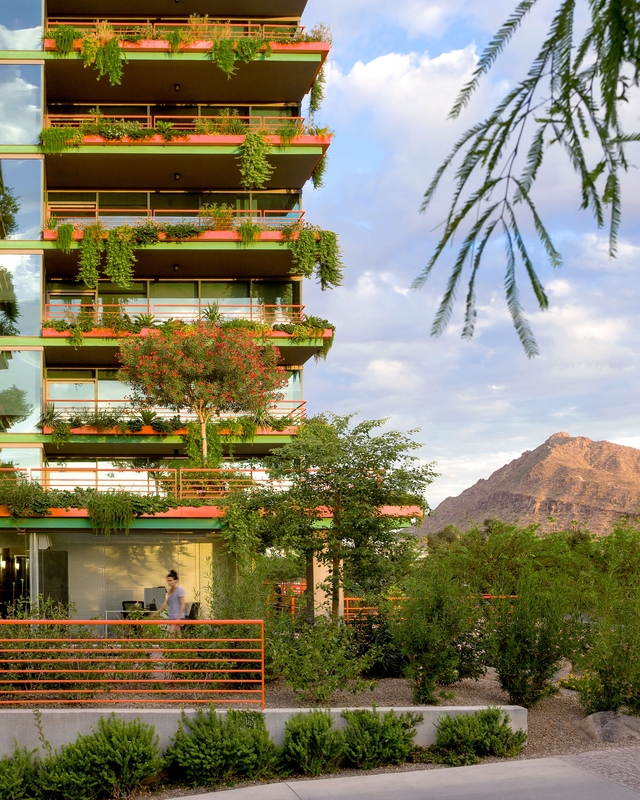 Not only does the project transcend the stereotypical image of the desert landscape, but it also employs design elements to naturally mitigate climate. 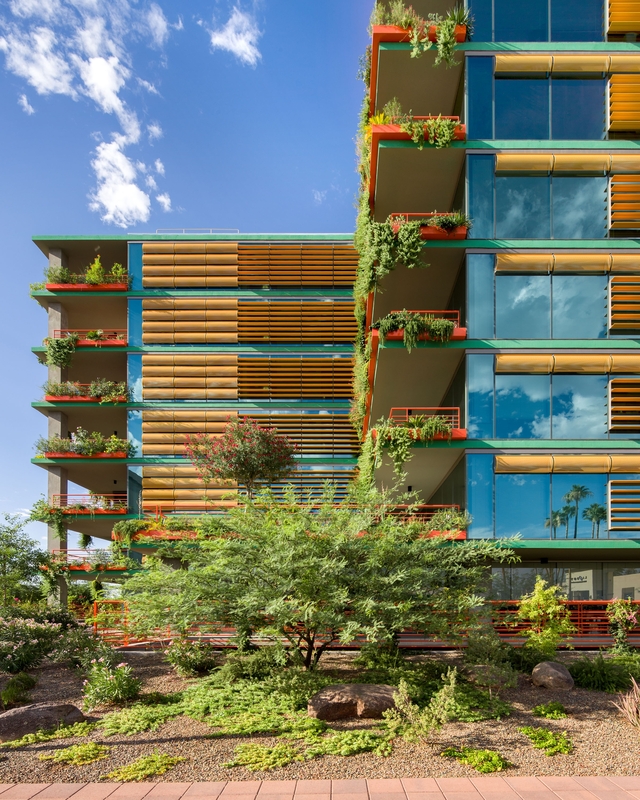 The project integrates high performance glass and perforated sunscreens that protect the interior from the desert sun while also allowing for natural light. 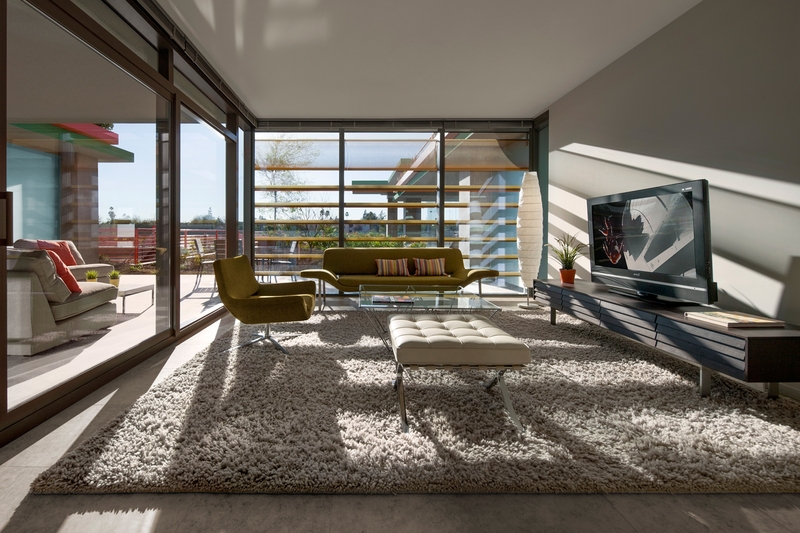 The terraces integrate with interiors, allowing residents to easily access the outdoors.